In 1963, Willi Unsoeld became a hero for his conquest of the West Ridge of Everest. Unsoeld was also a professor of philosophy. The darker consequences of his philosophy emerged during an expedition he led in 1976. This volume looks at Willi Unsoeld and the two epic climbs that defined him. In 1963, Willi Unsoeld became an international hero for his conquest of the West Ridge of Everest. His go-for-broke style and near-mad fearlessness established the modern template for extreme adventure. Unsoeld was also a charismatic public speaker and teacher, who profoundly influenced the generation of the 1960s and 1970s as a professor of philosophy. But the darker consequences of Unsoeld's philosophy emerged during an expedition he led in 1976. The loss of his daughter on the slopes of Nanda Devi under mysterious circumstances continues to fuel one of the great debates in the world of mountaineering. 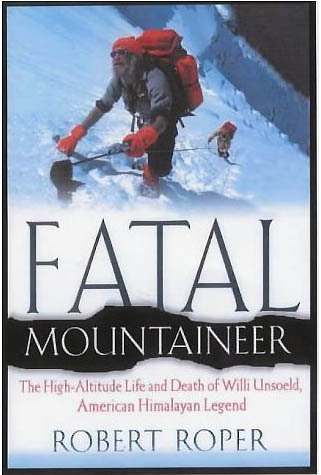 FATAL MOUNTAINEER is a gripping, intelligent look at Willi Unsoeld and the two epic climbs that defined him. It is an unusual narrative that blends action with ethics, fame with tragedy, and a man's ambition with a father's anguish.